Stoemp avec saucisse or in English Stoemp with sausages is a Traditional Belgian dish made of mashed potato mixed with vegetables (the Stoemp portion) and served in this case with Belgian sausages. Quite a few different variations exist as it could be served with many kids of meat: Chicken, Duck, Rabbit, Carbonnade, steak, Pork cutlet or mixed with bacon. 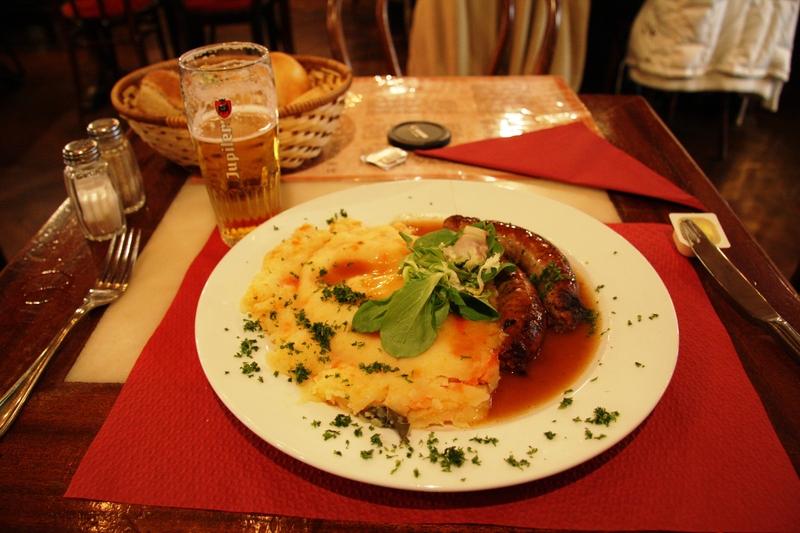 The version with Saussages is typically from Brussels but each has his favorite. You are currently reading "stoemp avec saucisse"